The chimney and fireplace combination is a very good home addition. In addition to improving the exterior and interior appeal of your home, this combination is very functional as well. It provides your family with warmth on cold days and nights. It’s a must-have for snowy or rainy days and nights. It provides your family with comfort and it provides so beautifully. Imagine a rainy night and you position yourself by the fireplace with a book in hand and a cup of hot chocolate on the table beside you. You’re just about to get comfortable when you hear the pitter patter, and it’s not coming from the roof. It’s coming from the floor as you see water dripping. Now, there are several possible sources of roof leaks. But if you have a chimney and fireplace, it’s something that you should check out. A chimney is a roof penetration so it basically creates a big hole. 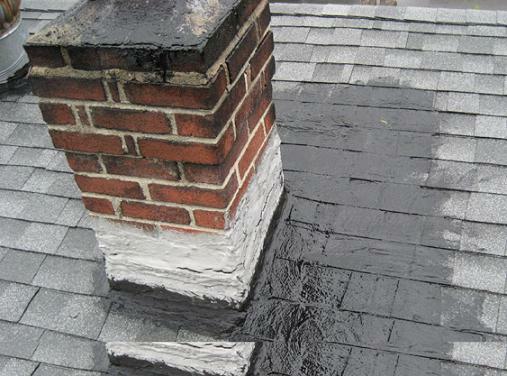 While a good roofer would have installed measures to prevent it from leaking, and so far it has worked until this day, there will come a time when you’ll be faced with a chimney and fireplace leak in heavy rain problem. You’ve come to the right place. This article will help you solve the problem once and for all by providing you with information that you need to take care of the issue safely and correctly. First of all, we’ll list down the dangers of a leak. Knowing these dangers will convince you to take care of the issue ASAP. Unfortunately, there are still some homeowners who feel that this is not an emergency issue so they put it off. We all know what happens the next time it rains. Just in case you feel this way, you can benefit from this part of this article. We’ll also tell you the reasons why your chimney leaks. Why is this important? Solving the problem starts with understanding the problem so you have to know why it leaks. More importantly, this information can help you put up measures so that it won’t happen again. Your chimney is not meant to last forever. Sooner or later, it will need repair. Like right now if it’s leaking, it obviously needs repair. 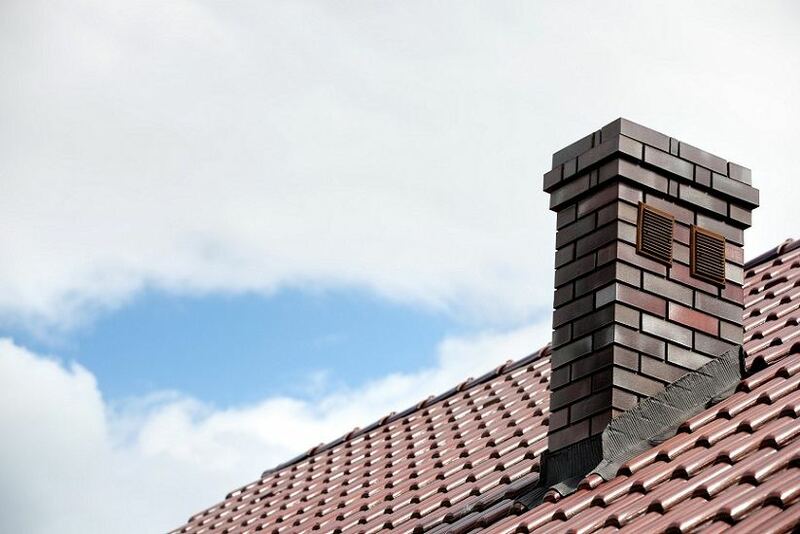 You can also benefit from knowing the signs that your chimney needs repairing. This can help you in the future so you can do regular inspections that will allow you to stay ahead of the problem. You can fix whatever issue there is before it starts leaking. How can you fix something if you can’t find the part that needs fixing? This is why we’re going to teach you how to find chimney leaks. We don’t want you to waste time trying to find it so we’ll teach you exactly how to find it. What happens when you do find it? You have to repair it, of course, and we’ll teach you how to repair chimney leaks. We’ll provide a step-by-step guide for you to know how to do it. However, do note that this is not a recommendation for you to do it. Sure, an experienced DIYer can probably do it but at the end of the day, a professional roofer that’s trained and experienced will always do a better job than any DIYer. More importantly, you don’t have to put yourself at risk. This is because there are dangers of working on a roof and we’ll list them down for you. These dangers should convince you to get a professional to do it. You’re also interested in the repair cost. We’ll give you a way to get the best quotes from professionals. You’ll get the best repair cost quotes from licensed contractors in your area just by using a free service. Read on to know more about it. For now, let’s arm you with everything you need to know. Your attic and its contents will get damaged. If you’re like most homeowners living in a home with an attic, you store a lot of important belongings there. You have family heirlooms, appliances, clothes, and a lot more. Some of these items are irreplaceable. The attic itself will get damaged as well. It can lead to a hefty repair bill. It will damage the rest of your home’s structure. You’re in luck if the water will stop at the attic. In reality, it will travel all the way down and around. This means that the water will leak down the walls, onto the floor and even into the basement. It will wreak havoc along the way. The bad thing about this is it’s going to affect the structural integrity of your home. You can’t live in a home with a deteriorated structural integrity because it’s an unsafe home. This is especially true if the water already reached the basement where it can affect the foundation of your home. It can lead to ugly water damage. Water damage is never pleasant to look at. It’s ugly and can really bring down the appearance of your home. Worse, it can affect the home’s value. This is crucial in the future if you end up selling your home. Watch as potential buyers leave or ask for an insanely lower price when they see water damage. Mold and mildew can develop. Among other things that are already present in your home, mold and mildew need one thing to grow, survive and thrive. They need moisture. This is why a chimney leak can easily lead to mold and mildew growth on your roof or other places as water travels around your home. Your family will be exposed to health risks. Speaking of mold and mildew, you also have to know that they carry health risks with them. Yes, their ugly appearance is the least of your concerns. If you have mold and mildew in your home, you’ll be exposing yourself and your family to a wide range of respiratory issues. Soon, your family will be coughing, sneezing, wheezing and more. While these can be minor annoyances, they can lead to a chronic illness. Why risk having someone in your family develop a respiratory issue? It’s worse someone in your family is already dealing with a respiratory issue. There’s also an increased risk among children and the elderly. There’s also an unknown health risk caused by chemicals. Yes, chemicals, because these leaks can pick up chemicals along the way. This means that they’ll be spreading chemicals around your home. It’s a small possibility, but a possibility nonetheless. It can cause fire and electrocution. Yes, leaks can cause a fire. This is when it starts affecting your home’s electrical system that can lead to sparks which of course can lead to a fire. The risk of electrocution is more obvious. Water doesn’t play well with electricity and the victim could be you or anyone in your family. It can damage your insulation. Again, leaks can travel around your home and it can also affect your insulation. When this happens, you could be looking at a hefty repair bill which you’d have no choice but to pay. This is because a damaged insulation is an inefficient one and this will lead to higher energy bills. You can slip or fall. Leaks will create puddles on the floor. They can create moist parts around your home. These can lead to slips or falls, which can be catastrophic especially among children and the elderlies. With these dangers, you just know that you have to solve the issue. You don’t have a chimney cover or it’s damaged. Your chimney has to have a cover. In addition to keeping rain out, it also keeps debris, birds and small animals out. This is very important because these things can lead to clogging which can lead to death from carbon monoxide poisoning. If there’s a cover, you also have to consider the possibility that it’s been damaged. Whatever the case may be, whether it’s missing or damaged, you need to contact a professional to place a working cover. This is very tricky. A lot of homeowners have spent thousands of dollars and hundreds of man hours trying to fix a leaking chimney, only to realize later on that it’s a condensation issue. A chimney liner may solve the problem. There are cracks in the chimney’s crown. The crown is the part at the top that’s made of cement. This part is very important in keeping the rain out. This can crack as your home shifts or shrinks. Water can go through these cracks. You can try to use a crown coating material to seal small cracks to stop them from getting bigger. If the cracks are already big, the masonry has to be removed and relayed. There are cracks in the bricks. The same issues that chimney’s crown experiences (shifting and shrinking) can cause cracks in the bricks. The issue is magnified if it constantly snows and thaws in your area. Not to mention, bricks along with the mortar can pass water. This is a waterproofing issue. You can’t just waterproof bricks. You may trap the moisture inside which will lead to more damages to the bricks. Professional help is needed for this. There’s an issue with the roof flashing. A chimney is a massive roof penetration. With the hole that it creates, it’s expected to have gaps around it. This is where the flashing comes in. It’s installed in between the bricks and bent towards the top of the shingles. It essentially forms a channel to drive water away from the hole that the chimney created. Sealed with tar, it’s a simple but effective solution. The flashing and tar don’t last forever, though. Hire a professional roofer to replace the roof flashing once it’s not at 100% anymore. As mentioned, leaks can travel. Sometimes it may seem as if the leak is coming from the chimney when in fact it’s coming from someplace else. This usually happens when water drips into the attic or ceiling and it rolls down into the attic because of an un-level stringer. This is the most obvious sign. You already know the reasons why your chimney leaks so you know that it’s because there are damages to it. You need to have the damages repaired in order to stop the leaking. It will stop leaking eventually after heavy rain, but it will start leaking again the next time it rains. This is a result of your chimney having too much moisture in it. Too much moisture is never good in this case because it can be a sign of other bigger problems. There could already be leaks that are going into other parts of your house and leading to your structure’s deterioration in the process. There are visible damages to the mortar joints. Damaged mortar joints will lead to moisture damaging masonry. This is obviously not good because it will affect the whole integrity of the chimney structure. Yes, the chimney can collapse so professional help is required to check it out ASAP. The chimney crown is damaged. The crown is an important part of the chimney that plays a massive role in keeping rain and other weather elements out. It will eventually deteriorate and get damaged and when this happens, moisture will penetrate the cracks and crevices and will make them bigger. This will affect the whole structure later on. A good roofer will repair the damages and weatherproof the crown to lengthen its lifespan. The wallpaper nearest your chimney is peeling off. In this case, it’s a sign that there’s excessive moisture in your chimney. Chimney tiles are falling into the fireplace. This is a sign that the flue lining has been damaged. It needs repair ASAP because it’s an important part in ensuring that you can safely use the fireplace. This issue is often noticed outside the chimney when you see masonry around the bottom part of the chimney. This usually happens because of moisture that leads to masonry crumbling. Needless to say, this will keep happening unless you do something about it. There’s white residue in the chimney. This is another result of excessive moisture. You can clean it, but it will just happen again if you don’t solve the moisture problem. There’s a buildup of creosote. You smell wood burning even if you’re not using the fireplace. The fire starts slow. Smoke floods your home. These can be signs of a buildup of creosote. These signs are dangerous because they can lead to a fire. As you noticed, a lot of these signs are due to excessive moisture so chimney and fireplace leak in heavy rain will aggravate it. These can also be a sign of something more dangerous like a house fire so it’s important that you have them repaired by a professional. The chimney may look like just one plain structure. It should be easy to find a leak, right? It can prove to be challenging for most homeowners and this is why we recommend that you hire a professional to do it. It’s also not a one-person job. Two experienced professionals can do it but in a lot of cases, 3 to 4 people are needed. Gadgets that will allow 2 people to stay in contact while one is on the roof and one is inside the house. Two water houses that you can bring on the roof. Include a shut-off nozzle attachment. A long roll of clear plastic. Wrap the chimney with the clear plastic. Start at the base around half an inch from the base of the chimney where it meets the roof. Make sure to cover about a foot and a half up. Don’t wrap the flashing at the base. Position a person inside the attic or inside your home if you don’t have an attic. This person should be armed with a flashlight and should be very observant. Have the person on the roof run water along the sides of the chimney. Start at the lowest part. Run the water just on one spot for at least a couple of minutes. Do it steadily with little to no splashing. The person inside the house should watch for the leak. This person should look up using a flashlight and notify the person on the roof as soon as he sees the first sign of water leaking. The person on the roof will mark the spot where he’s been running the water once notified that there’s leaking. Use the lumber crayon and make sure to mark solidly. Move to the other areas on that same side. Use the shingles as a guide. Move from one side to the next one shingle at a time. Make sure to run the water at each shingle for at least a couple of minutes. Do the same process on all sides of the chimney whether or not you find the source of the leak since there could be more than one. However, it’s important that the person inside the attic or house observes properly should the process start being damaging to the interior. If the person inside sees water pooling on the drywall in the ceiling, poke a hole in the middle to allow the pooled water to drip into a bucket. Do the same for the back of the chimney. Repeat the process that you did for the other sides. You need to remove it first and reapply it in such a way that the lowest part of the wrap is just a few millimeters from the upper part of the counter flashing. Repeat the process of running water around the chimney starting at the bottom part. The person inside will continue watching for signs. Start moving the plastic wrap a short distance at a time until you find the source of the leak. Yes, we know what you’re thinking. It sounds like a lot of work and it is! This is why we recommend that you hire a professional to find the leak for you and of course, fix the issue. You need to replace the mud cap. Repairing it won’t solve the problem long-term. It’s much better to replace it and complement the new one with a flu cap. As an alternative, use a full-sized cap made of metal. Fill in the joints with fresh mortar. You need professional help for this. Flashing work has to be done by a professional roofer that’s qualified to perform works related to sheet metal. DIYers and inexperienced contractors will recommend surface sealing. This won’t work. Replace the shingles that are missing or have been damaged. It’s quite a dangerous shame that a lot of homeowners still don’t acknowledge the dangers of working on a roof. Sure, they know about these dangers, but they obviously don’t mind them as they continue to work on a roof. Unfortunately, a lot of them find out about these dangers the hard way. Falling while going up or down a ladder. Yes, the danger starts even before you set foot on a roof. You can get into an accident while you’re going up a ladder especially if you don’t have the experience to properly place it. Worse, you can get into an accident while going down the ladder. You’re thinking the job is done and before you know it, you’re lying terribly injured on the ground. Slipping and falling while on the roof. This is the most dangerous part because you’re already way up there on the roof. You have to know that the roof is a very slippery slope. In addition to most roofs being sloped that increases the risk of slips, shingles become really slippery as they’re exposed to rain and snow. You can also lose your step and fall. You could lose track of where you are and the next step might be your last. There’s also the fact that there’s a poor line of sight especially when working on your chimney. Consider yourself lucky if you slip and fall on the roof. If you’re not so lucky, you’ll slip and fall more than a dozen feet to the ground. Your roof is exposed to the harshest of weather conditions. This means that they can get brittle and vulnerable. Do you know where you can step and not damage the roof? If not, you could end up damaging the roof. Think of the irony. You go up to fix the damages, only to create more damages. This will lead to more expenses. These dangers are real. Do you really want to expose yourself to these dangers? If not, then go ahead and hire a professional. You’re transferring the risks to them. If you hire an experienced professional, the risks are minimal to them thanks to their experience and safety gear. Besides when something does happen to them, they should be insured to keep you protected from liabilities. Most homeowners that are apprehensive in hiring a professional are concerned about the cost. This is understandable because homeowners don’t usually have money set aside for chimney repair. This is why they try to do things DIY and expose themselves to these dangers. We can’t stress enough that these dangers are real. This is why we’re working hard to spread information and provide a good solution so you don’t have to spend a lot of money to hire a professional. In the past, we’d recommend that you contact around 4 professionals and ask them to send you an itemized quote. Let them know that you’re asking for quotes from other contractors so you can compare and choose the best one. This will encourage them to put together their best deal so their quote will come out as the best. It’s time-consuming, though, so we developed a free service that can make getting quotes from pros easier. All you need to do is to use the form that you see on this page. Complete the form with the basic details asked and send the form. The best licensed roofers that specialize on dealing with chimney and fireplace leak in heavy rain will receive your details. They’ll put together their best repair cost quote which means you’ll receive the best quotes that you can choose from.